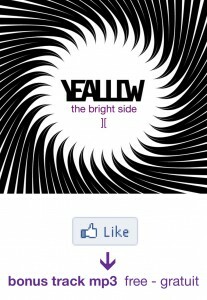 YEALLOW GIVES FOR FREE ONLY ON FACEBOOK, A NEW VERSION OF A TRACK ASKED BY THEIR FANS ! In dec 2008, came out the EP “One”. 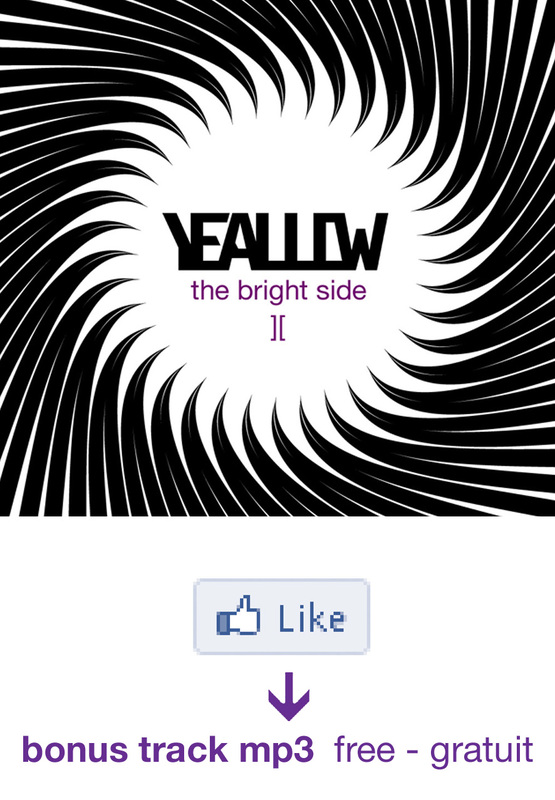 On this digital EP, was “The Bright Side”. During the lives in 2010, this track was played in a new mood and the audience liked it and asked for this “unknown track”. During the november studio worskshops, Yeallow decided to record this new version. It was, as usual, mixed in analog on a Soundcraft 1600 by Olivier Gangloff & Romain Ferrey @ Studio Grenat – Strasbourg and mastered by Jay Franco @ Sterling Sound, New-York City. This track will be given for free only for Facebook friends during a myabe limited time before a digital release.